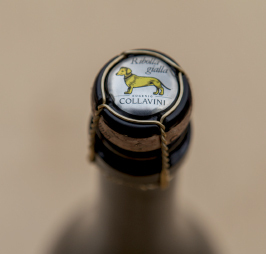 Located in Corno di Rosazzo, recognized as one of the most productive wine-making areas of Friuli Venezia Giulia, the Collavini head office resides in the former Villa of the Zucco-Cuccagna noble family. The winery is set in a fine example of a XVI century fortified residence. Manilo restored the residence and converted the master’s villa into a wine cellar and his own family home. The turret on the west-facing wall, once built as a point of observation to monitor the surrounding countryside, still gives a glimpse of the marvelous panorama stretching across the hills of Rosazzo, Ruttars and Cormons. Once in the wine cellar, the senses are completely enraptured by the colors and scents of the old “Turian” vineyard, the same ancient Ribolla Gialla lot where this grape variety was planted again. Our tradition is to focus on our vineyards and to introduce technological innovations in our cellar.The accurate restoration of our tradition is strictly connected to the attention given to our vineyards and to the technological innovations introduced in the cellar. As an example, we utilize a horizontal orientation of autoclaves, in which our Ribolla Gialla is aged for more than thirty months. Then there is the drying room; a low temperature and ventilated area where the best bunches of grapes are taken to concentrate the aromas and fruit giving body and elegance to the wine.